Are you curious what benefit grey water recycling will provide for you in your RV? Get this full professional version of USI-RV's grey water recycler calculator (MS-Office 97 - MS-Office 2007 Excel workbook), plug in your RV's fresh, grey, and black water tank sizes and see what your before and after Dry Camp Days are when you implement grey water recycling. Want more control over the calculations? With this pro version, you can change any or all of the water consumption parameters so it exactly matches your RV usage patterns. Do you shower daily or every other day? Do you take longer or shorter showers? How often do you wash your dishes? How many adults are traveling in your RV? Plug in all of these parameters and more then watch the grey water calculator accurately calculate your before and after benefit of using grey water recycling. Two columns showing conservative and average values are provided to give you guidance through your estimation process when filling in "Your Values" column. New: The calculator now has a grey water recycle Analysis Engine which looks at your tank sizes and water consumption values then provides a recommended change to better optimize your Dry Camp Days. It's fun to work the optimizer and achieve the "Congratulations -- You have optimized your capacities" result. New: Shower Minutes Calculator. This calculator takes your tank sizes along with your water consumption values then calculates your minutes allowed per shower. Then it allows you to enter your desired minutes for your average shower. Watch the real-time Dry Camp Days with recycling calculator reflect the change based on your shower minute desires. Then use the Analysis Engine to optimize your consumption parameters to achieve your desired shower minutes. New Bonus: MPG Calculator. This calculator is a great tool to track, calculate, and manage your Miles Per Gallon specifics across multiple trips. It factors in your generator fuel consumption to provide you with your MPG. It even tracks your dollars spent on fuel. Keep the master version on your computer then print-out the workbook to have in your RV. This allows quick and easy tracking while traveling. The calculators are stored on a USB Memory drive (thumb drive) and shipped direct to your door. Take advantage of the thumb drive to store other files you need to carry with you. Get your "Pro" calculators now by adding it to your shopping cart. 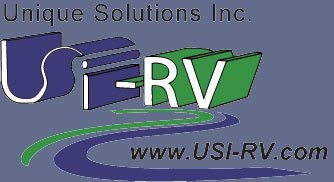 Copyright © 2008-2019 Unique Solutions Inc ---- RV Products Group. All rights reserved.